Breakfast for hubby was usually oatmeal and for me just a blueberry muffin. Unlike other ships I was able to get a blueberry muffin every single day but one. Sometimes it would have to come from the buffet, sometimes from International Cafe, and sometimes the guy working the IC would go grab one from the back. They were really good muffins on this ship, moist and chock full of blueberries. We ate lunch in the dining room twice but never ate there for breakfast or dinner. The lunch menu had enough choices and we had absolutely no problem getting a table for two. We did Alfredo's just once. Remember, as long as they have the ingredients they can make you a pizza not on the menu. We went with pepperoni, lots and lots of garlic, and extra cheese. Their idea of lots and lots of garlic must be different than ours because there was barely any on it. We shared that one, then ordered one more and asked for even more garlic but it looked about the same as the first. We ate at Slice, the renamed/revamped pizza place on deck. One time it was a slice of pepperoni and another time it was the Stromboli with some marinara on the side. This was at the end when we started coming down with the flu so we couldn't judge whether it tasted good or not. Our last cruise on the Grand a few months back we did the Crown Grill and didn't have a great experience so we skipped any specialty dining this time around. We also didn't order room service this trip. 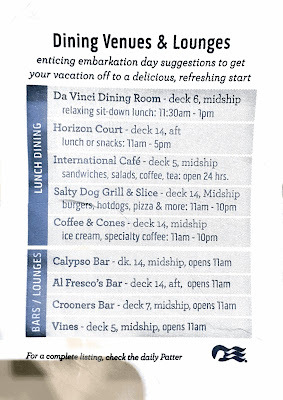 One note about embarkation day dining...we received a note when checking in about all the food venues open for the first day. Now that they've added the dining room to the list, the place was packed. Busier than any first day dining room lunch ever. We booked this cruise the week before it left so the lowest of the guarantee cabins, an interior F, was all that was available. A couple days before departure we received an IA cabin assignment. We stayed on Caribe deck, just two cabins down from where we stayed in December. Unfortunately, we wound up having the same not-so-stellar cabin steward. Having experienced his lack of attention to cleaning last time (even with a supervisor being involved) we decided to just overlook it this time. Instead we avoided the sticky desk, stayed away from the corner above the fridge where there were roll crumbs, threw away the empty water bottle someone had left behind in the safe, and didn't use the pink and sticky section of the night stand. If it was our first time with him (and the supervisor) we would have been more insistent upon getting those things cleaned up. But experience taught us to keep our mouths shut because nothing will change. In the recent dry dock the TVs have been upgraded to the larger ones. But still no on-demand system. 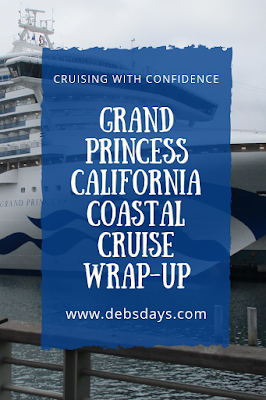 All of the ports - Santa Barbara, San Pedro, San Diego, and Ensenada - were ones we had been to several times before. Santa Barbara: Santa Barbara is a tender port and you need tender tickets. Passengers were asked to pick up tender tickets in the Explorer's Lounge then wait in Michelangelo's dining room until the number was called. We wound up staying onboard because it was our bartender buddy's last day on the ship. We stayed the entire day at his bar and hung out with him. San Pedro: Usually the Grand docks in Long Beach when it's a port stop but for some reason the ship wound up in San Pedro this time. It confused both passengers and crew. We walked around and rode the free hop-on, hop-off bus to the fish market for lunch. San Diego: We went to see the San Diego Padres were playing the Arizona Diamondbacks. We walked all the way to the park and back. (Padres won.) Something to know about San Diego - the Broadway Pier where we docked had stairs, no escalator, and just one elevator. Even though hubby is disabled we weren't allowed to use the elevator. We'll be in San Diego again next month and now know we will have to be much more forceful in order to be allowed to use the elevator. Ensenada: We had every intention of heading out for fish tacos, but all the days of walking had both of us feeling pretty worn down so we never got out. (Looking back now we realize we were also coming down with the flu.) It appeared most people stayed onboard when we were in Ensenada as the ship was super-busy that day. Our sailing was the second one after the Grand left dry dock. I've done a separate post detailing the changes we saw. You can find that list here. 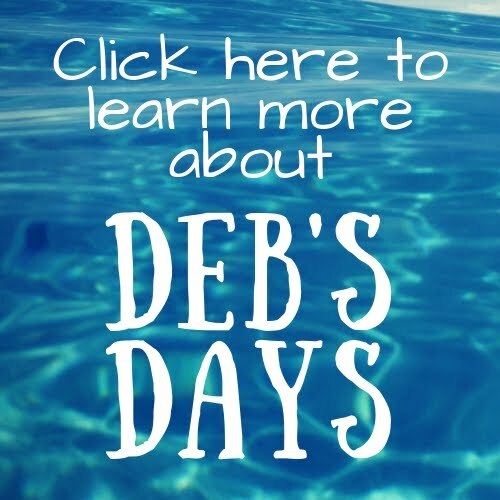 If you're interested, you can find my day-to-day live trip report from the cruise here. If you want the Patters from the sailing, you can find them all right here. I left Encouraging Words Money Pockets all around the ship, including in the Wake Show box. I'll still keep that up for my upcoming cruises so if you ever wind up coming across one, you'll know I'm on the ship with you!